Your superweapon against overage. 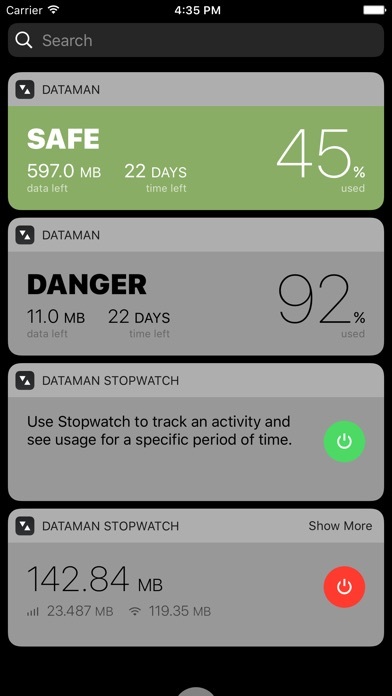 DataMan Pro lets you know how you used data, every hour, every day. And with smarter forecasting, it helps you stop wastage too. So you can maximize your data plan. Suggested Usage. Based on your usage trends, you'll get intelligent suggestions for how much data you can use right now while avoiding overage. Smartest Forecast. The most accurate Forecast predicts if you'll stay within your data cap. And tells you in brilliant colors. Siri Shortcut. 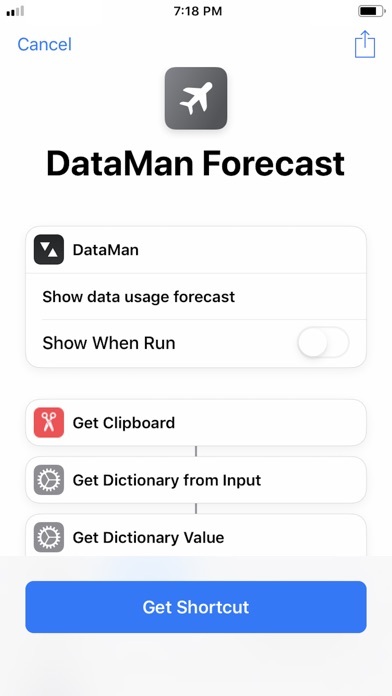 Get your usage forecast just by asking Siri. Plus automate tasks, like turning cellular data off, in Shortcuts app. Data Widget. 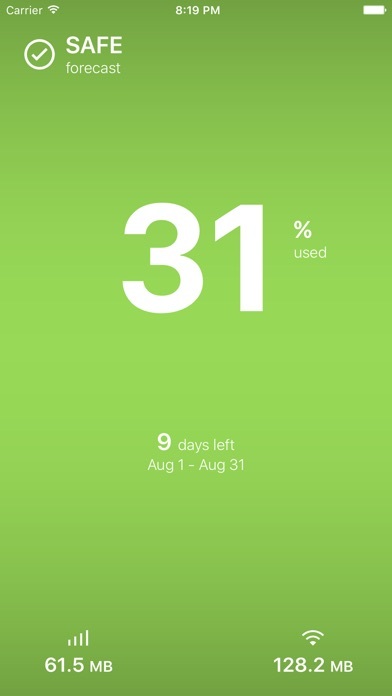 Instantly check your usage at any point from any screen. Just swipe to view the glanceable widget. watchOS App. Designed for Apple Watch to quickly show your most important stats in Complication and Dock. Real-Time Hourly Stats. 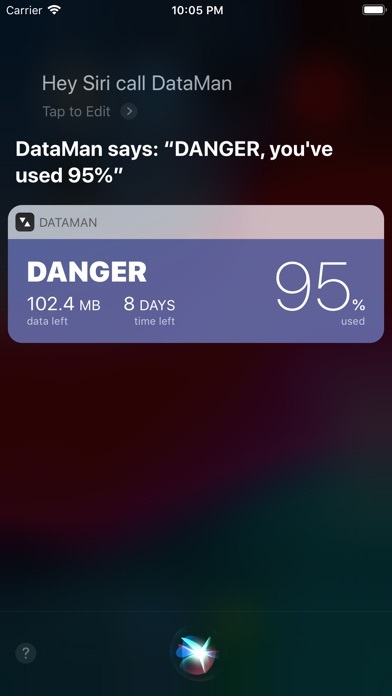 Your latest statistics are retrieved directly and immediately from iOS. No more waiting for your carrier to update. Beautiful Design. Simply gives the key stats you need most in an incredibly clean interface. 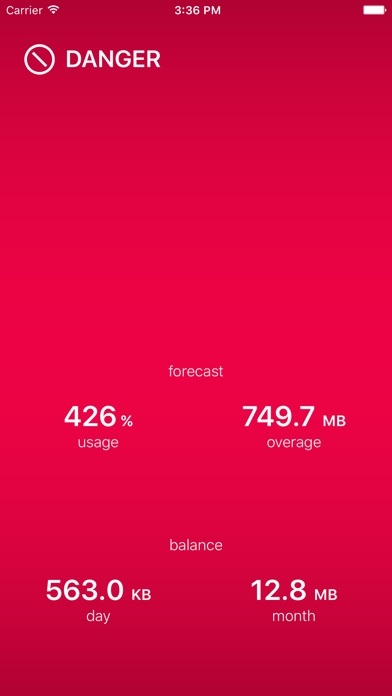 It's so easy to track your data usage. Additional features include: ・ Track cellular (LTE/4G/3G) and Wi-Fi ・ Use your stats in custom shortcuts ・ Push usage alerts to Notification Center ・ Monitor activities with Stopwatch widget ・ Map where you used data ・ Red percentage badge on app icon ・ Compatible with all billing periods ・ Support Rollover / Carryover data ・ Hourly and daily history ・ Four custom alert thresholds ・ Work with all carriers ・ Private and Secure - no VPN, no login "Yields extremely valuable info and alerts" NYTimes "The app every iPhone owner should have" SlashGear "Keep accurate tabs on your data usage" Macworld "Powerful and easy-to-use data tracker" 9to5Mac "Best way to monitor your data cap" AppAdvice "Never worry about your data limit again" Cult of Mac Featured on USAToday, TIME, Guardian, ZDNet, TNW, iMore and many more. # Checkout DataMan Pro for iPad too. アプリとしてはかなり高いけど、機能が満載されててめっちゃいい！これでアプリごとの通信料見れたら完璧。 The application is quite expensive, but the functionality is fulfilling! It seems perfect if you see application and communication charges are displayed. 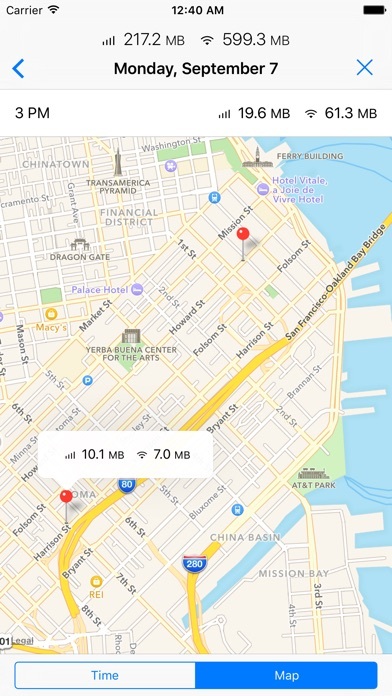 Want details on app data usage. 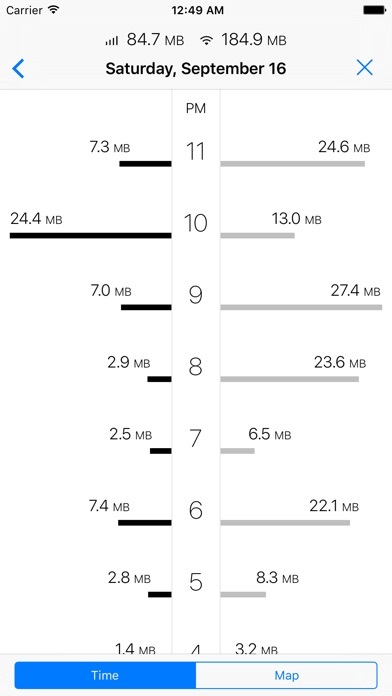 I miss the detailed app data usage. It disappeared and I don't belive I was ever asked before I upgraded if I wanted to proceed with a lesser functioning version.